It’s becoming harder for small businesses to ignore video in their marketing strategy. A recent Animoto study found nearly two thirds of consumers believe companies that use video know how to reach their customers, and one in four consumers actually lose interest in a brand if it isn’t using video. DIY tools, plus the proliferation of video in apps such as Instagram, Vine, Twitter, and Snapchat have made it easier than ever for businesses to create and distribute video, but how can you ensure your video strategy works? Here are three video metrics to keep in mind when it comes to posting business videos online. 3 Online #Video Metrics every #smallbusiness should know from @Animoto. Although video stands out on a page and increases your chances of being discovered in search results, video content itself isn’t searchable. For people to discover your videos, include text -- titles, descriptions, and tags -- to make them searchable via Google or YouTube. To optimize your video for search engines, think about what potential customers might search for. Include these words or phrases in the text that goes along with your video. If you have existing video content on YouTube, YouTube’s Analytics tools can help you discover keywords and phrases people are already using to discover your content. Visit the YouTube Analytics dashboard, and click through to see how many views came from different search terms. If a keyword or phrase you’ve been using isn’t getting results, change it up. Other tools like Google Adwords’ Keyword Planner help find and select relevant keywords, and Google support also provides great tips on building the best keyword list. When creating your video, keep length in mind. Today’s viewers have shorter attention spans than ever, and research shows consumers prefer short videos. In fact, nearly two thirds of consumers indicated that a video being too long would strongly deter them from watching. The optimal length for a product video is one to two minutes, while business overviews and customer testimonials should be kept under a minute. 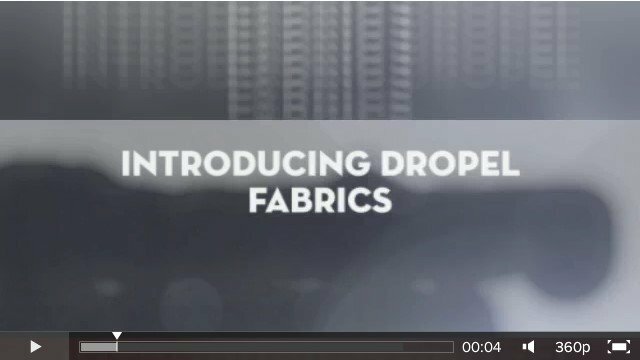 In this example, textile supplier Dropel does a great job of revealing how its product works in under a minute. You can also use YouTube Analytics and Facebook Insights to see if and when viewers are dropping off. If viewers aren’t making it through your videos, determine when they’re dropping off and shorten videos to make them more engaging. In the example below, featuring a look at the Audience Retention metric in Facebook Insights, only 24.8% of people made it through the entire video. When analyzing video campaign performance, many businesses look to view count to determine success. However, views by themselves means very little for ROI. Views increase brand recognition, but in the grand scheme of things engagement is a much more important metric. 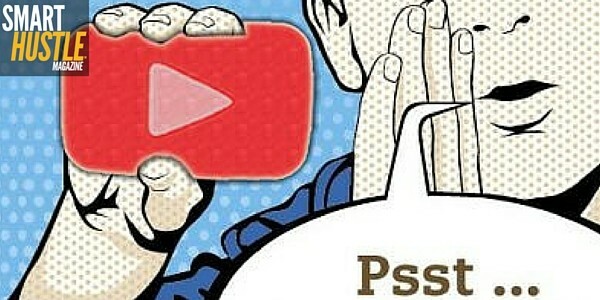 Are your viewers liking, sharing, commenting, and subscribing to your videos? These activities move potential customers along the path from observer to advocate. Utilize silent storytelling - Sharing your video on Facebook, Twitter, Instagram, or Vine? These platforms auto-play video with no sound. Create content that tells your story without sound so viewers will be drawn in as they scroll by in the first few seconds. Create share-worthy content - People share content to spark conversation. When creating video content, think about whether it’s something people will rally around to discuss and share. Include a call to action - Let viewers know what you’d like them to do (i.e. contact you, visit your website, leave a comment, make a purchase) by including a call to action. If you’re sharing on social media, include text and links in your description. If your video is embedded, include the call to action in the video using titles or captions. Remember that no video strategy is perfect from the get-go, but by paying attention to these metrics you can hone your strategy and optimize results. Are there any other metrics you monitor when analyzing your business video campaigns? Share them in the comments below. Brad Jefferson, CEO & Co-founder, Animoto As founding CEO of Animoto, Brad Jefferson leads the charge in driving Animoto's vision of making it easy for anyone to create powerful, professional video. Today, Animoto's 10M+ users span the globe and create over 1M Animoto videos every month. The company has 70 employees and has raised $30M. 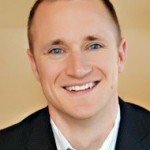 Prior to co-founding Animoto in 2006, Brad spent eight years with Onyx Software, an enterprise software company, in a variety of professional services, sales, operations and management roles and saw the company grow from a 17-person start-up to an 800-person public company.